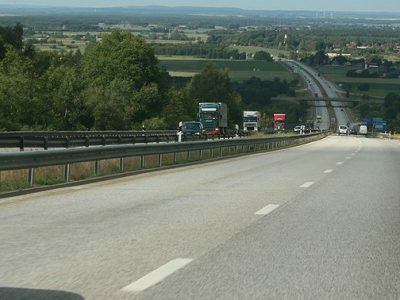 Drivers coming to Sweden in the near future may face serious difficulties. 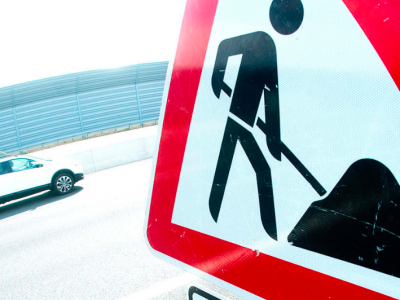 From Thursday, October 11, the E6 motorway in the Malmö area will be closed in both directions. Alternate detours have been designated. The motorway closure is connected with the renovation of the bridge at the intersection in Alnarp north of Malmö. The work will consist in adapting the crossing to the extension of the railway line between the cities of Lund and Arlöv. For the duration of the works, traffic will be diverted to other appropriately marked alternative routes (see map below). Difficulties will last about two weeks. 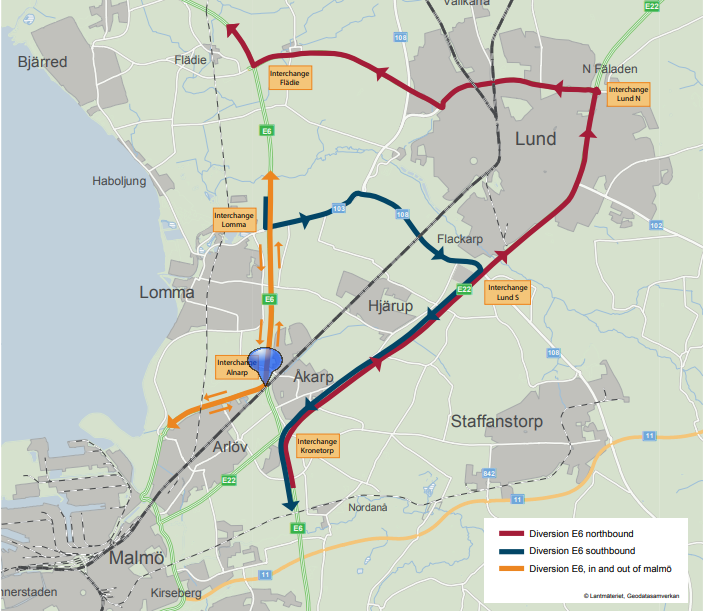 The reconstruction of the railway line between Malmö and Lund began in the autumn of 2017. The E6 motorway bridge will be reconstructed in two stages. The first part of the renovation will start in a few days. The next stage is planned at the turn of 2020 and 2022. 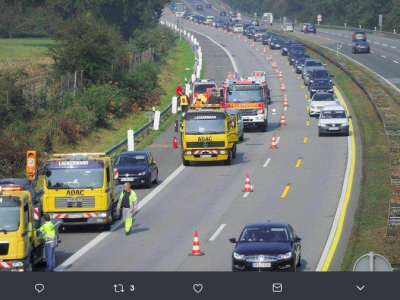 Then the motorway will also be closed for about two weeks.